Tools and strategies to support research and writing assignments that students complete as part of the College Credit Plus (CCP or CC+) program. College-ready Ohio students in grades 7-12 can apply for College Credit Plus admission to any Ohio public or participating private college. Visit the Ohio Higher Ed University System of Ohio's College Credit Plus page and contact your school guidance counselor for more information. 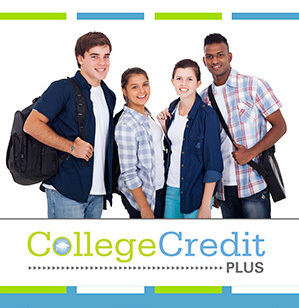 The purpose of College Credit Plus is to promote rigorous academic pursuits and to provide a wide variety of options to college-ready students. To produce college-level work, students need to use high-quality, academic resources—the kinds of resources that are available from INFOhio, OhioLINK, and Ohio's university libraries. Students enrolled in CCP courses and CCP instructors should have access to resources through their college's library. Use the right login. Check that your PIN, university ID, username, password, and other forms of identification are correct. Double-check by calling the IT department or library at the college through which you are enrolled. Try logging in from home or through a network other than your secondary school. If you are able to access the resources from home but not from your secondary school, your school may be blocking these resources. If so, contact your school's IT department. As you are problem-solving your access, use the INFOhio resources. INFOhio provides high-quality research resources for all of Ohio's PreK-12 students and educators, including those students and educators involved in CCP.